A Redditor put together this Imgur gallery of AFV's being consumed by time and nature. Some quite good images. I would like to read the story of them, too. The IS tank (6th picture) reverted to a single piece hatch, or the hatch open order was fixed? You will only regret it. This is a sad tale. 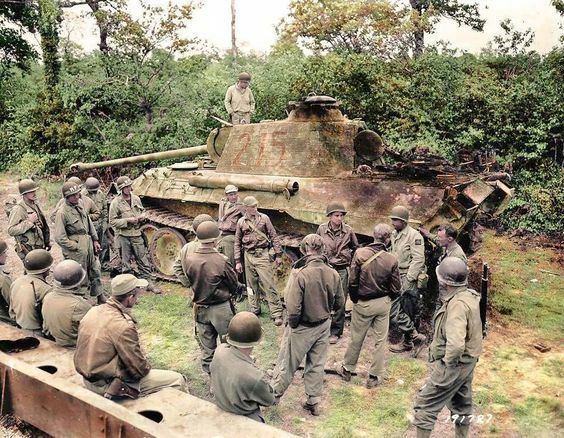 Two weeks before the end of hostilities this Sherman was dispatched, along with the entire crew, by a 16 year old Hitler Jungen with a panzerfaust. 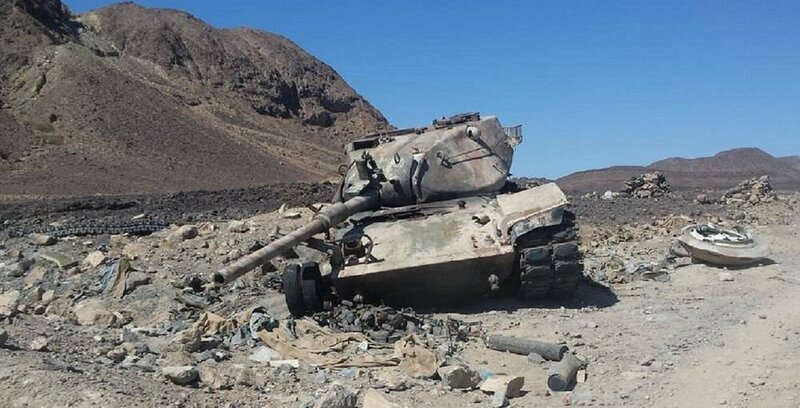 The lad was subsequently shot down and killed by the following tank. 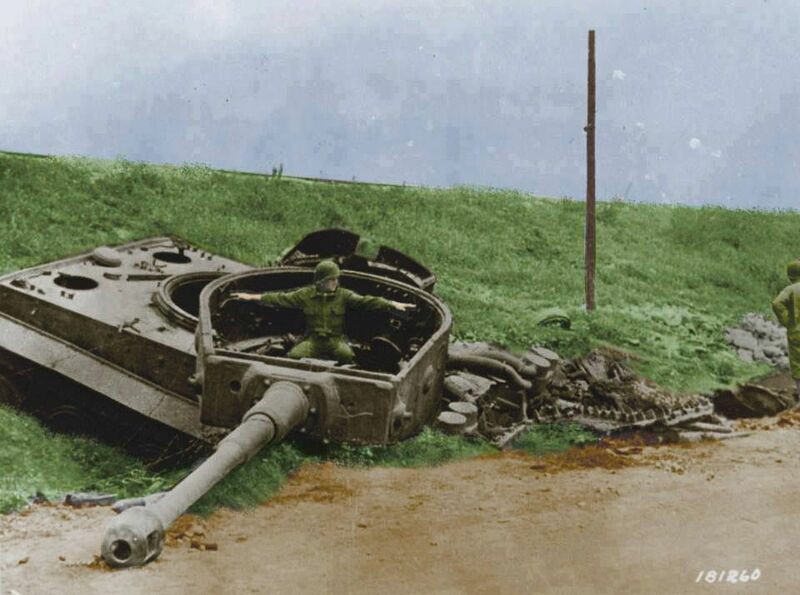 A knocked out Panzer V 'Panther' Ausf. 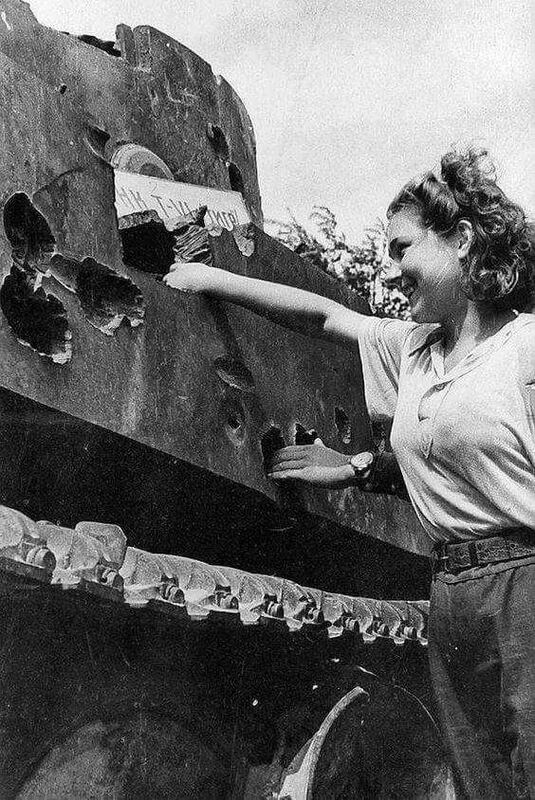 A (Nº215) aka "Ingrid" of 2 Kompanie I/Pz.Rgt.6 then serving with Panzer-Lehr-Division, 19th July 1944. It was attacked by US P-47 Thunderbolts on July 11 1944 near Le Dézert in Normandy. It is being viewed by a group of GIs, MPs and P-47 pilots of the 366th Fighter Group located at the Saint-Pierre-du-Mont A1 airfield. 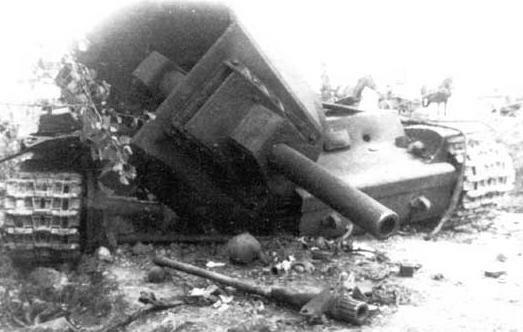 "KV-2 annihilated very likely by an 88 mm German FlaK, the whole is clearly visible on the right, the heavy 152 mm shells have make the chassis crack in two parts and the turret blow up." Location:Where both sea and skies are grey. Is that one from Croatia or Bosnia? 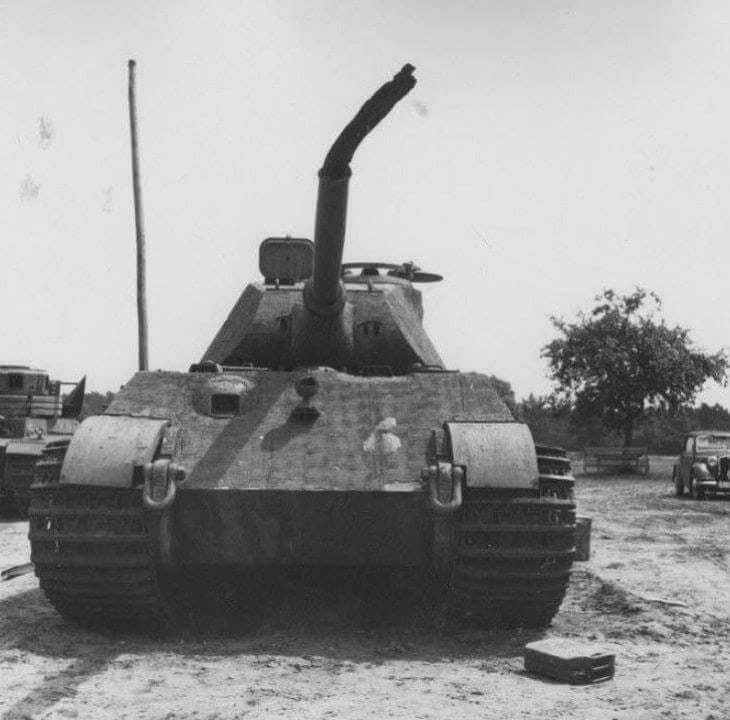 It looks vaguely similar and quite possible it was 155mm howitzer as I remember one such picture. The photo is from Kosovo, so it becomes self-explanatory as to what caused that damage. How, I don't know. It could have been a smaller weight 250lb bomb, or as evidenced by the fact that right side tracks and wheels are ripped off, the bomb may not have exploded directly on impact. Edited by Arian, 11 March 2018 - 1104 AM. For some reason can't post photos. What is the story behind the wrecks? Canadian 3rd Division M4s and Churchill Crocodile knocked out during assault on Boulogne.